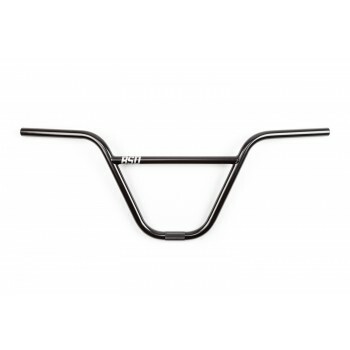 BMX 49er Handlebar Black by OdysseyOdyssey's 49er is a traditional looking 4-piece bar that use..
Aaron Ross’ signature handlebar features a 9.125″ rise along with a traditional 7/8” crossbar tubing..
BMX Candybar 8" Steel Handlebar Black by Hi-TechGreat design BMX ..
BMX Candybar 8" Steel Handlebar Chrome by Hi-TechGreat design BMX bar. Hi-Tensile steel and a go..
Dan Paley was fed up of breaking plastic bar ends but didn’t want the hassle of the screw in on..
Dan Paley was fed up of breaking plastic bar ends but didn’t want the hassle of screw in ones, ..
BMX Expert Race Handlebar 5.5" Black by DRSDRS Race ..
BMX Expert XL Race Handlebar 6.5" Black by DRS&..
BMX Handlebar HQ 10" Black by Salt Plus..
BMX Handlebar HQ 10" Chrome by Salt Plus..
BMX Junior Race Handlebar 3.5" Black by DRS ..
BMX Junior Race Handlebar 4.5" Black by DRS .. The Passenger bars are part of Kriss Kyle’s signature line of parts. Based on the popular ..